Although the winters in St. Augustine FL, St Augustine Beach FL, Crescent Beach FL, Butler Beach FL, Vilano Beach FL, Ponte Vedra FL, South Ponte Vedra FL, World Golf Village FL, Nocatee FL, Hastings FL, Ponte Vedra Beach FL, Neptune Beach FL, Jacksonville Beach FL, Saint Augustine Shores FL are relatively mild, you still need a reliable heating system for those inevitable cold nights. The team at Hartwick Heating & Air Conditioning provides professional heating installations, repairs, and service for homeowners throughout Nassau, Duval, Clay & St. Johns Counties. With our 24/7 emergency service, you’ll never have to wait for normal business hours to have your heating system repaired. We also offer a Premier Customer Maintenance Agreement so you can enjoy priority service, comprehensive preventative maintenance, and additional benefits. Trust in the Hartwick Heating & Air Conditioning team for all your heating system repairs, service and installations, any time of the year! At Hartwick Heating & Air Conditioning, we understand how uncomfortable it can be to live without a reliable cooling system in St. Augustine FL, St Augustine Beach FL, Crescent Beach FL, Butler Beach FL, Vilano Beach FL, Ponte Vedra FL, South Ponte Vedra FL, World Golf Village FL, Nocatee FL, Hastings FL, Ponte Vedra Beach FL, Neptune Beach FL, Jacksonville Beach FL, Saint Augustine Shores FL. With regular service from our knowledgeable and skilled team, your air conditioner will be in top shape for those hot days. If your air conditioner needs repairs, or you’re ready for a new installation or upgrade, you can trust in Hartwick Heating & Air Conditioning. We’re dedicated to providing you with expert services to ensure you can enjoy optimum comfort in your home all year long. Whether you need emergency repairs, regular maintenance, or anything in between, we have you covered! Hartwick Heating & Air Conditioning is dedicated to providing each and every one of our customers with healthy indoor air and properly functioning HVAC systems. Many people do not realize the impact air quality can have on your health and well being, and even your energy bills. Our licensed technicians have the knowledge to recommend the right products and services. We specialize in air purifiers, humidifiers, dehumidifiers, germicidal UV lights, and ventilation systems. When you need to improve your indoor air quality, give us a call! We understand how difficult and frustrating it can be when you have to spend a lot of money on your HVAC system. We also know that most families don’t have large amounts of money on hand, especially in unexpected situations. With flexible financing with approved credit through Wells Fargo, and with no credit required through Microf Financial, Hartwick Heating & Air Conditioning provides you with a solution you can count on. Visit our financing page, or contact us today to learn more! At Hartwick Heating & Air Conditioning, our goal is to provide honest, exceptional service for each and every customer. With a dedicated, knowledgeable staff and integrity that comes with every job, we’re able to keep our customers satisfied. 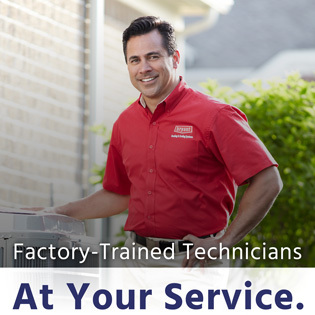 Our team is skilled in HVAC system repairs, service, and installations, as well as indoor air quality solutions. We strongly believe in honest, hard work, and that’s how we’ve found our success. As Colossians 3:23 says, “Whatever you do, work at it with all your heart, as working for the Lord, not for men.” Give us a call today! Before you rush into the replacement or installation of a new HVAC system, contact Hartwick Heating & Air Conditioning for a trustworthy estimate. Our knowledgeable team will analyze your home, consider every relevant factor, and provide you with an accurate estimate for your new installation or upgrade. Call us today to learn more! 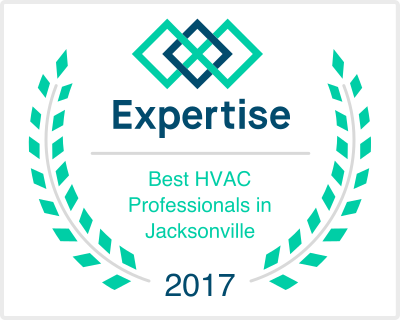 At Hartwick Heating & Air Conditioning, our goal is to provide homeowners throughout Nassau, Duval, Clay & St. Johns Counties with the best HVAC service possible. Whether you are in need of new installation, retrofit, maintenance, or repair of heating, cooling, or air quality systems, know that we combine quality products, innovative features, highly trained technicians, and a commitment to excellence. Through our unwavering dedication to your satisfaction, we always take that extra step that ensures superior results. Our team of fully licensed, insured, and certified professionals answer the most difficult challenges with effective procedures that improve comfort, cost, and convenience for our valued customers. We never overlook safety or the long-term impact, and always take into consideration the health and enjoyment of your indoor environment. With every project we take on, we take advantage of every opportunity to optimize your rewards. From maximizing efficiency and dependability of your heating/cooling system to orderly worksites and swift completion of your project, Hartwick Heating & Air Conditioning works to exceed your expectations. 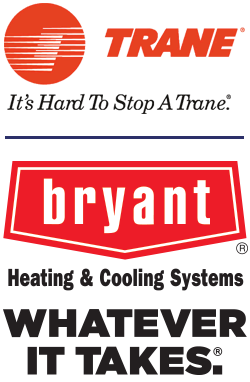 Heating and cooling services you can depend on! For repairs or regular upkeep, Hartwick Heating & Air Conditioning is well-versed in all makes and models, and delivers solutions that satisfy your expectations for efficiency, performance, and safety. Our Premier Customer Maintenance Agreements defend against unnecessarily high running costs, labor-intensive repairs, shortened system lifespan, and polluted air quality. Priority service, 15% discount on parts and labor during regular business hours and a one-year warranty on parts are some of the many convenient and money-saving benefits of our maintenance plan. Our skilled technicians complete a 21-point comprehensive checklist to ensure that your equipment is prepared to handle the most severe weather and consistently operate in peak condition. If you should experience a problem, outside of normal business hours, there’s never a need to delay calling for assistance. Recognizing that malfunctions don’t punch a time clock, neither do we. 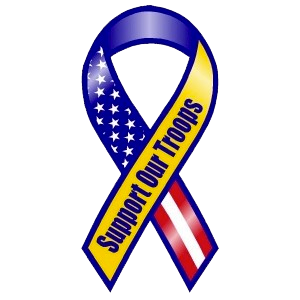 The team from Hartwick Heating & Air Conditioning is on call to assist you, 24 hours a day, 7 days a week, 365 days a year. Across St. Augustine FL, St Augustine Beach FL, Crescent Beach FL, Butler Beach FL, Vilano Beach FL, Ponte Vedra FL, South Ponte Vedra FL, World Golf Village FL, Nocatee FL, Hastings FL, Ponte Vedra Beach FL, Neptune Beach FL, Jacksonville Beach FL, Saint Augustine Shores FL, homeowners rely on Hartwick Heating & Air Conditioning to handle all aspects of their indoor temperature control and air quality. 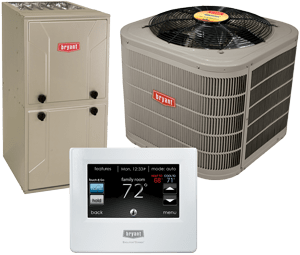 We specialize in the service of air conditioners, heat pumps, split systems, packaged units, ductless systems, water-to-air units, and geothermal systems. We provide answers to concerns with air quality, solving issues with excess or insufficient humidity, airborne contaminants, fumes, and much more. Feel free to contact us at Hartwick Heating & Air Conditioning to speak to a helpful representative of our staff, and take advantage of our wide range of comprehensive services. Our team of licensed specialists works hard to make it easy for you to enjoy a safe, healthy, and comfortable home. Expect prompt and proficient service when you count on Hartwick Heating & Air Conditioning.